Follow I-75 N, Take exit 104 for KY-418 W/ Athens Boonesboro Road. Continue onto KY-418 W/Athens Boonesboro Road. Take Man O'War Boulevard West to US-27 S/Nicholasville Road. Before reaching Nicholasville Road, The Summit at Fritz Farm will be on the right. 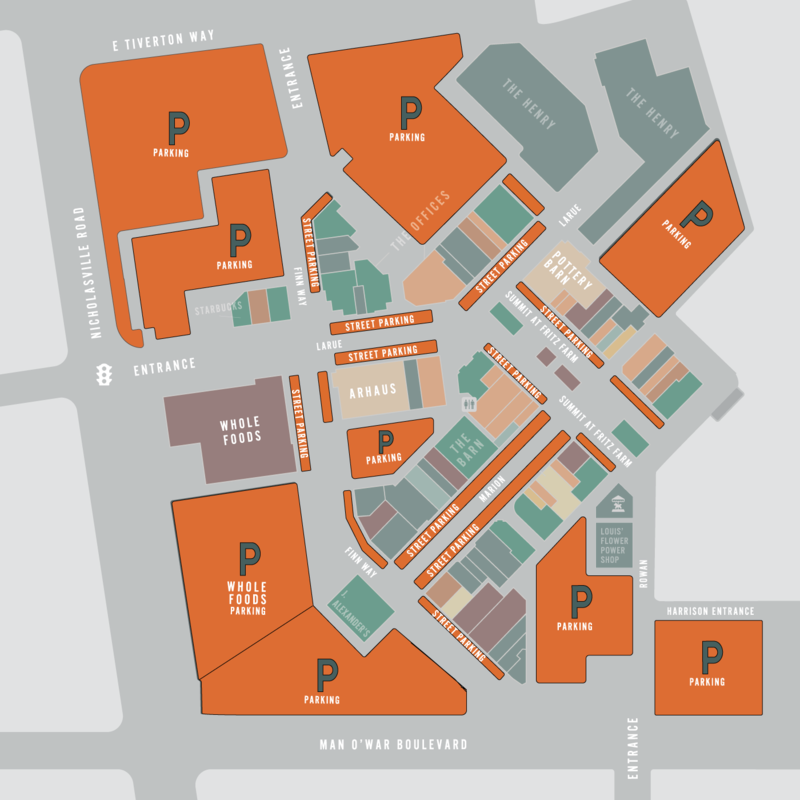 Parking is available in multiple areas via on street parking, in front of Whole Foods and J. Alexanders, behind World of Beer, in front of Starbucks and in parking decks behind Pottery Barn or off of East Tiverton. Complimentary valet parking is located outside of Honeywood and is available from 5:00 pm to 10:00 pm on Fridays and from noon to 10:00 pm on Saturdays.